In the hair knowledge, dying hair relies on hydrogen peroxide to open the hair cuticle, to make hair dye add a complementary color or remove the color. Scalp would be stimulated, and the dye chemical smells pungent, but the current technology can be done with low ammonia odor.To prevent the scalp stimulation, you can put isolated cream on the scalp hair beforehand. Because the hair cuticle would be hurt by dying, it then makes the hair going worse. The hair fades, roughs, bifurcates, and gets fracture.Bad dying chemistry affects the health. In addition to take good care of the hair, choosing a good hair dye product is very important. The following is to tell you to select good products for dying DIY. ---Henna dye is natural? There is 75% not natural on the market. Some commercial advertise Henna is natural hair dye and does not hurt. But you need to check out if it is true. Is it so real that the natural ingredient can dye the originally hair color to totally so different? Some people experience henna with just stir pollen and heated water together, and then wipe on the hair. The white hair can be dyed as dark or others, not easy to fade. No need the hydrogen peroxide and any other chemicals. This could possible happen when there is a lot of metal complement coated pigment in the henna dye. The heavy metal would stay in your hair until you cut it off. The general chemical dyes would not have a big problem on skin instead. The metal henna is even worse than the general chemical dyes. Improper use of hair dye would raise the allergy. Published in the British Medical Journal in early research indicates that more and more British hair allergy cases, from an annual increase of about five to forty per year. If dying hair is so simple, why does hair salon charges so much money? Every salon uses hydrogen peroxide to dye guests’ hair. When dying for customers, the stylists need considerate about what color and how to dye. How much impact the dying to hair quality? Many people dye in the hair salon or by themselves are always confused about why their hair so damaged. People often change hair color would definitely not in good hair condition. Oxidation has hurt the hair the first time you dye, every time you repeat the dying would just destroy the hair. The disadvantage about changing color… Many people may not know, and the hair salons wouldn’t tell you either. Renewal color not only very damages the hair but also the process very complicated. If your original hair color is dark, hair bleaching and coloration is required before the hair color changes (all the same no matter what color to dye to). Light color to dye to dark color only needs the direct dye, no bleaching. If your color is darker, direct dye is impossible to achieve the color you want. If it can dye over, you should be careful it could be the metal dye. The newborn hair is healthier and more sensitive to the dye chemistry, so the hair would be shining like angle’s light. To find a true natural henna dye isn’t easy actually. Almost everyone says their brand is natural, but it is really "only a few" pure. Most of the dye chemistry contains Para Phenylene Diamine (p-phenylenediamine),especially in black Henna. PPD is FDA prohibition that could cause contact allergens. The allergy symptoms often come with itching, redness, and eczema reaction. Why do they put PPD? 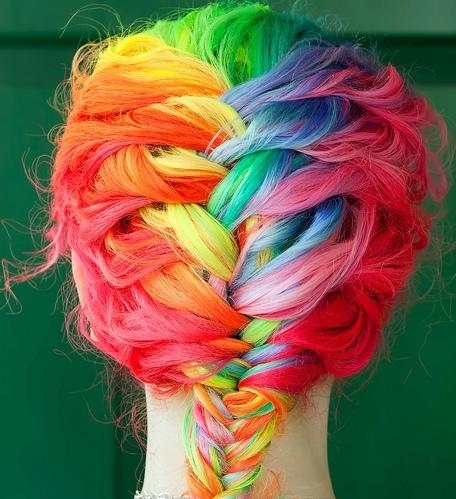 It can sustain the color longer on hair. PPD not just contain in henna, many hair dye has it too. There are also many "fake" natural dyes with PPD-free. PPD is not disabled in cosmetics like hair dye stated by FDA, just to apply for and obtain a permit. If you want to buy hair dye without PPD, you have to watch out carefully. Not only the famous PPD, there are other chemicals like PARA AMINO PHENOL, META AMINO PHENOL, ORTHO AMINO PHENOL, CITRIC ACID, BARIUM PEROXIDE, MAGNESIUM CARBONATE…. 1 According FDA, Henna is a coloring made from a plant. It is approved only for use as a hair dye but not for direct application to the skin, as in the body-decorating process known as mehndi. This unapproved use of a color additive makes these products adulterated and therefore illegal. 2 A truly natural henna dye is reddish brown. This color is quite natural for white gray hair. If you have black hair, it wouldn’t become red brown after dying; only the white gray hair people would be added as reddish brown. So it’s very suitable for white hair people. Chemical dyes are amazing; they can dye to any color no matter what original color you are. If your dark hair become reddish brown after dying; you didn’t use the “pure natural” henna. 3 "Natural" does not mean "100% natural". Almost all Henna products contained chemicals are labeled as "Natural", so please buy"100% natural" or look at the ingredients label.